Paul Kay is your local magician who is constantly performing. Text him now for a free no obligation quote for your party 0744 351 9313. He provides exciting entertainment for weddings, anniversaries, birthdays and Christmas parties. Over the last twelve months he has already worked at SEO Works, Arley Hall, Mercure Dunkenhalgh Hotel, Foxfields, Tatton Park, Notcutts Garden Centre, Woodford and Piccolino’s in Ilkley. If you have filmed Paul Kay’s magic on your phone and would like to see it on his website, email it to phspecialk@googlemail.com. He can also saw any person in half – a great magical surprise for a special party. He can make bottles of Champagne appear out of thin air, items float in front of you and perform amazing legerdemain. 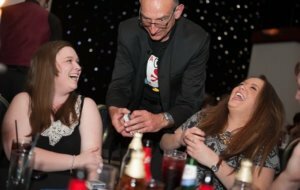 Working at top venues in Media City, Cheshire, Yorkshire, Derbyshire, Staffordshire, Preston, Charnock Richard, Blackburn and Liverpool, close up magician, Paul Kay, has magically entertained audiences with wit and enthusiasm. 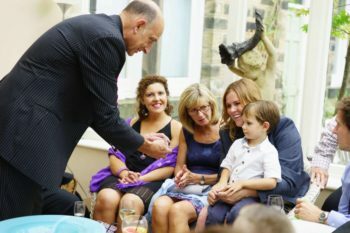 Whether you require elegant strolling magic for evening entertainment or something more fun and dramatic for a lively audience Paul Kay will engage and amuse. Take a tour through the tailored entertainment section for more information. Don’t forget, discounts are available for all midweek bookings. ”Words like awesome and amazing were genuinely banded about throughout the night. Apart from everything else we all thought the price you gave was very good value for money” Stella at her birthday and her daughter’s 21 st birthday party where Paul made bottles of Champagne appear out of mid-air. “We both really enjoyed it, especially the personal touches” Matt on booking the ghost tour and bespoke magic performance as an anniversary surprise. 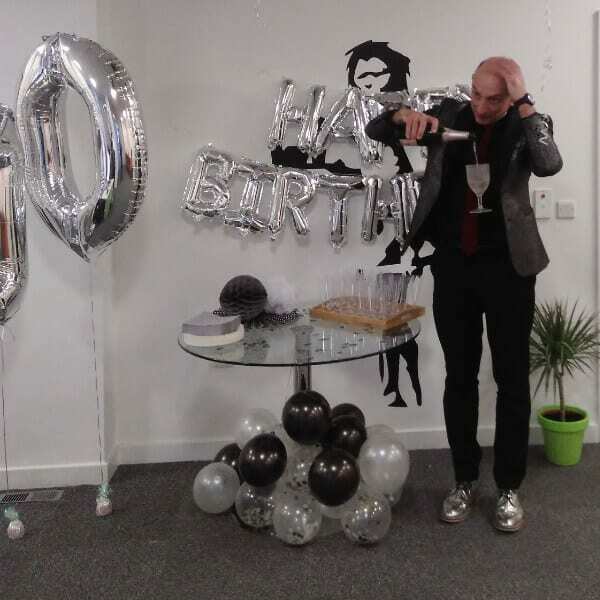 “We all thought you were amazing.We thoroughly enjoyed all your magic.The Champagne trick was awesome. What a great way to start the night” Jaqui on seeing Paul’s magic at her parents’ Golden Wedding Anniversary. “Great entertainment and magic. I shall book you again” Michael at the Cloud 23 Bar viewing Paul’s magic at Linden’s 30 birthday party.